Pausing for photographs alongside the Astrovan at the Operations and Checkout Building at the Kennedy Space Center in Florida, the STS-135 flight crew prepares to board the motor home that will take them to Launch Complex 39A, where the Shuttle Atlantis awaits their arrival. Despite the massive crowd of media, it was clear that the astronaut's attention and gratitude was on the NASA and United Space Alliance workers and families who had also shown up to send them off on their mission. 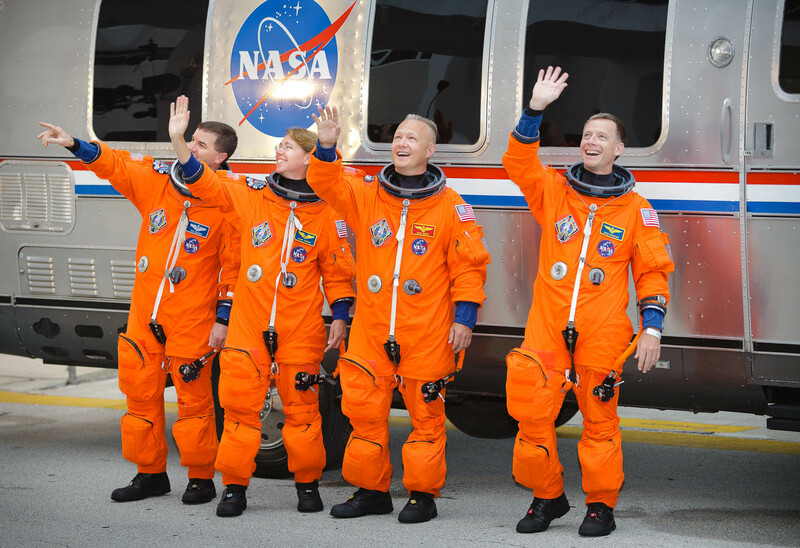 L-R: Rex Walheim and Sandy Magnus, mission specialists; Doug Hurley, pilot; and Chris Ferguson, commander.